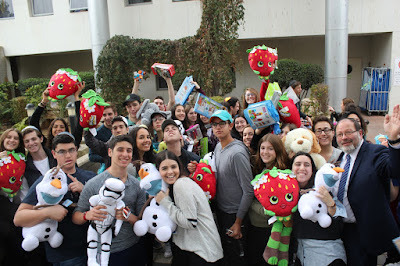 On the 8th and final day of Chesed Mission 2017 our group went to Special in Uniform, Assaf Harofeh Hospital, a last visit to the Kotel and Ben Yehuda Street. Through Special in Uniform Israelis with different disabilities are able to join the army and perform different jobs. People with disabilities have traditionally been rejected from the army, but Special in Uniform aims to change that. They believe that even with disabilities, these individuals are able to help defend their nation and thereby feeling like everyone else their age. The director of the program, Tiran Attia, spoke to us about his inspiration for starting this program. We then gave out gifts to all the soldiers. We spoke to them about what they do and how they enjoy being in the IDF. Just by looking at their smilies, it was very clear that these individuals are so proud and happy to be in the army. After Special in Uniform we went to Assaf Harofeh Hospital, our last chesed stop of the trip. The staff greeted us with warm smiles and some baked goods. We then split up into groups, grabbed presents and headed into the hospital. We walked through the halls giving gifts to every child we saw. Hugging an Olaf doll one child beamed a huge smile saying thank you so much. The parents also expressed their gratitude, and really appreciated how we came all the way from NY to come visit their child. Some of us went to a different area where the children there were dealing with eating disorders. We sat and talked with them about what they like to do, about school, and about our every day lives. It was a great way to end our fun filled days of chesed. With our finals farewells to the children we headed to the Kotel where we would end the trip the way it began. 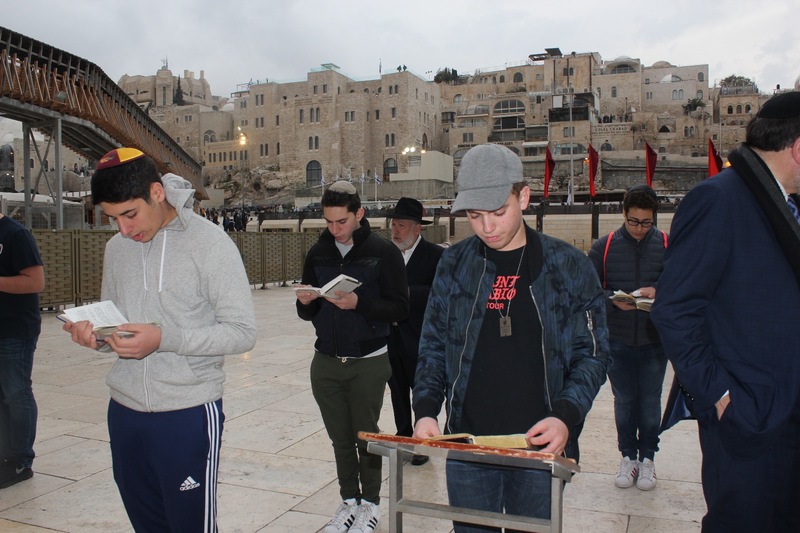 When we arrived at the Kotel we were surprised to see a group a soldiers practicing for a ceremony they would have later that night. It was great to be by the Kotel with soldiers, the very people who enable us to be there, praying to G-D. Standing by the wall everyone felt the spirituality and reflected on our past week of chesed. As Rabbi Besser so eloquently explained our prayers were that much more meaningful, because now we could all connect the berachot to what we did the past week. For example while saying refaenu we all had the sick children, and people we encountered throughout the week in mind. It was an amazing way to cap off the week. We then headed to Ben Yehuda street for our last meal in Israel and some last minute souvenir shopping. During the bus rides many people got up to speak about their experiences and it was a great way to reflect on the week and connect on a greater level with each other. Finally, we headed back to the hotel for a final goodbye. We watched a great slideshow made by Victor Dweck, and sang our final kumzitz on Rabbi Besser's porch. Singing Hatikvah overlooking the beautiful view of Jerusalem was a great way to say goodbye to Israel and our unforgettable trip. 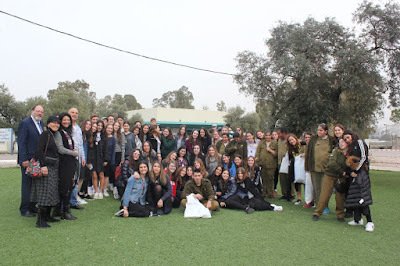 We also want to thank Debbie Siman-Tov of Emunah or all her help, Shlomo the bus driver for taking us everywhere we needed to be safely, Zalman for always being there to give us some great insights during our bus rides, Victor Dweck for always being there to snap a pictures, Señora Shterenzer for helping chaperone the trip, Mr. Galpert for all his hard work and endless nights, Susan Franco for her tireless effort and work she puts into the Chesed Mission and finally we need to thank Rabbi Besser - Chesed Mission would not be Chesed Mission with out him. His never ending energy, love, and care he puts into this trip truly is inspiring to all of us. From the bottom of our hearts thank you! Goodbye from Israel! It's been an amazing and unforgettable trip! Till next year!